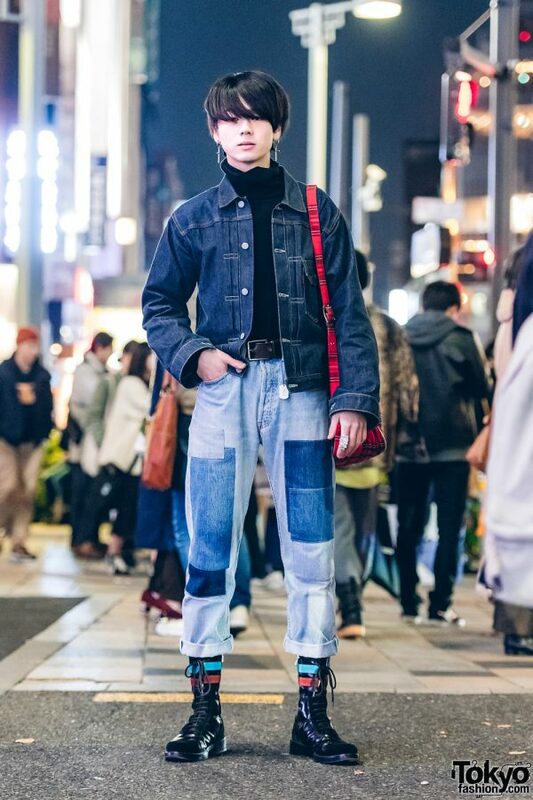 While on a recent evening trip to the Harajuku streets, we came across Ryosuke, an 18-year-old model who we often feature on our street snaps. He easily caught our eye with his stylish take on the denim-on-denim fashion trend. 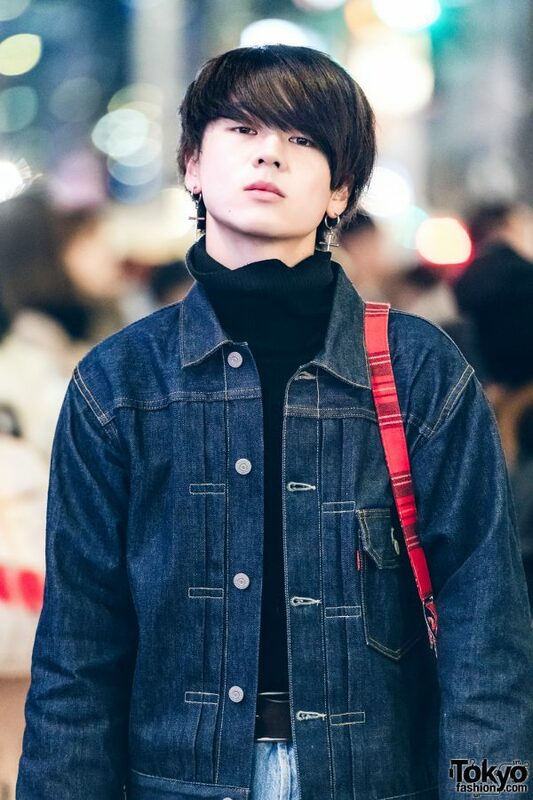 Ryosuke is dressed in a dark denim jacket from Levi’s, which he styled with a black ribbed turtleneck top, and a pair of patchwork denim cuffed jeans, which is also from Levi’s. 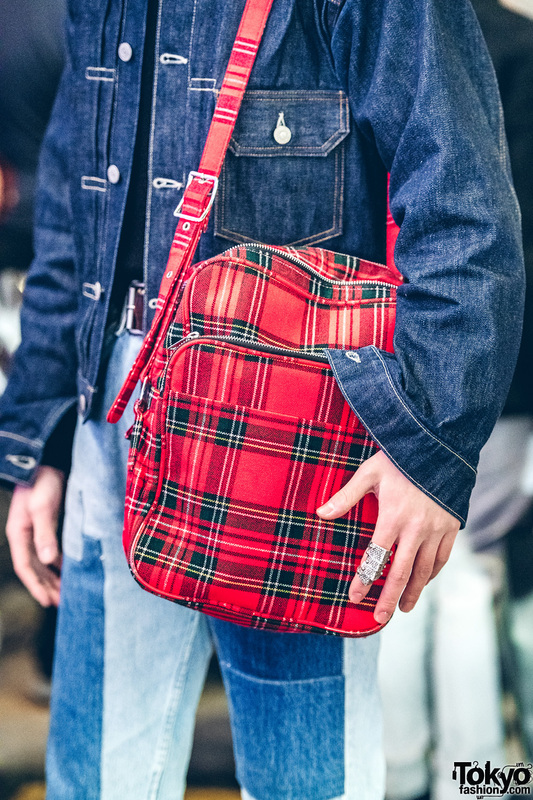 He capped off his look with black lace up boots with blue and red suede stripes from Raf Simons, and he is carrying a red plaid sling bag from Comme des Garcons. He is wearing silver cross hoop earrings, a black leather belt, and a silver armor ring from Vivienne Westwood. 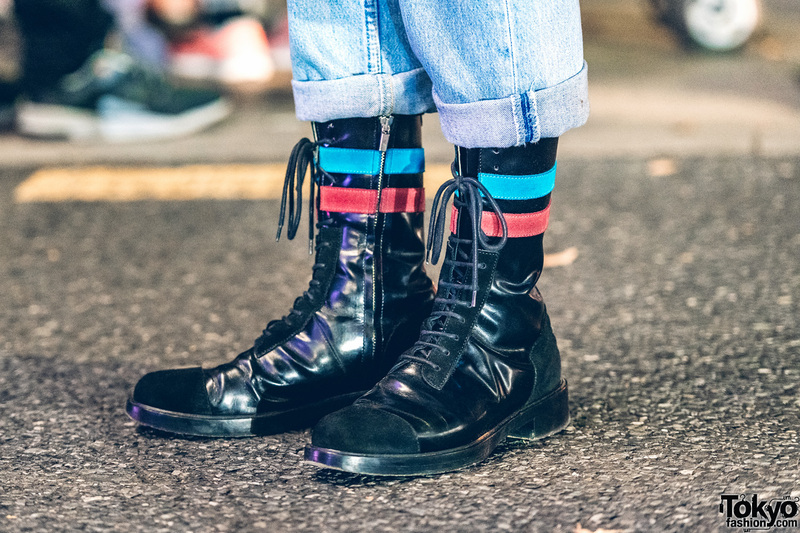 Raf Simons is Ryosuke’s favorite fashion brand and he likes the music of Judy and Mary. Follow Ryosuke on Instagram and Twitter.